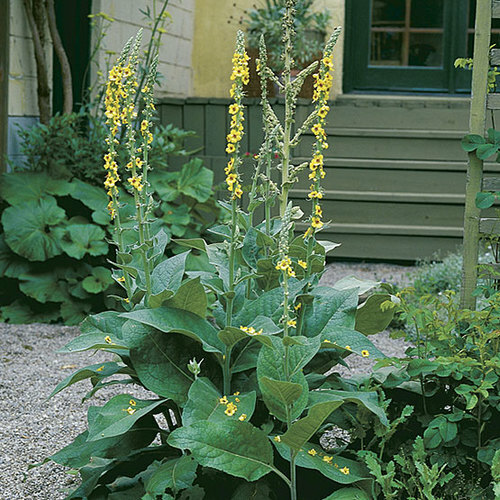 This dwarf mullein is just 15 inches tall but it packs a big floral punch. In early spring, violet-purple flowers with dark purple anthers emerge unfazed by late frosts and continue into the summer. 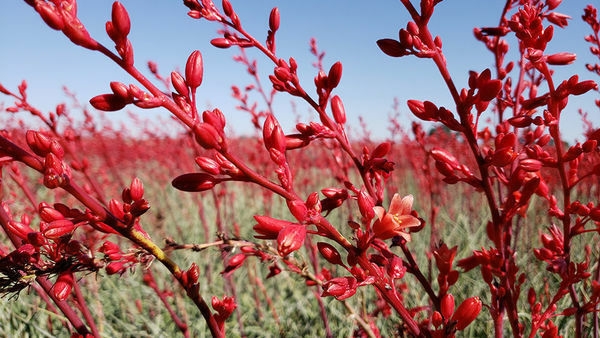 Noteworthy CharacteristicsIndividual flowers are short-lived but numerous, and flowering takes place over a long time. 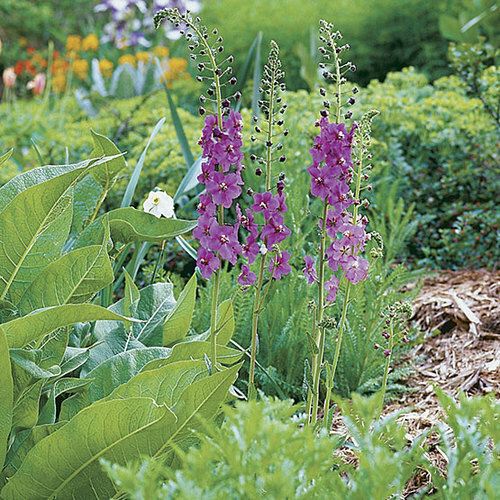 Self-sown seedlings vary slightly from the parent cultivar, thus creating welcome surprises. Most species are found on dry, stony hillsides and open woodlands, but are well-adapted to cottage, gravel, and rock gardens, or naturalized areas with well-drained soil. 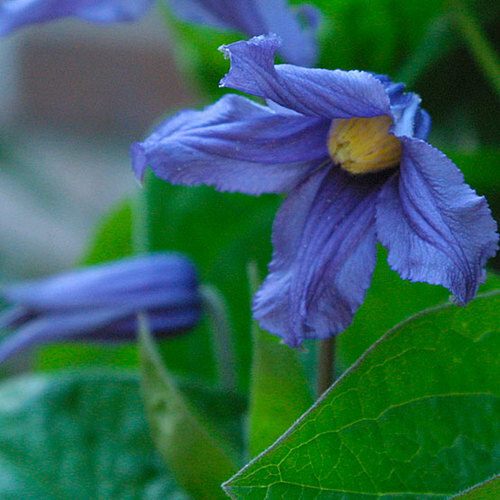 CareProvide well-drained soil and full sun. Deadhead to prolong bloom. 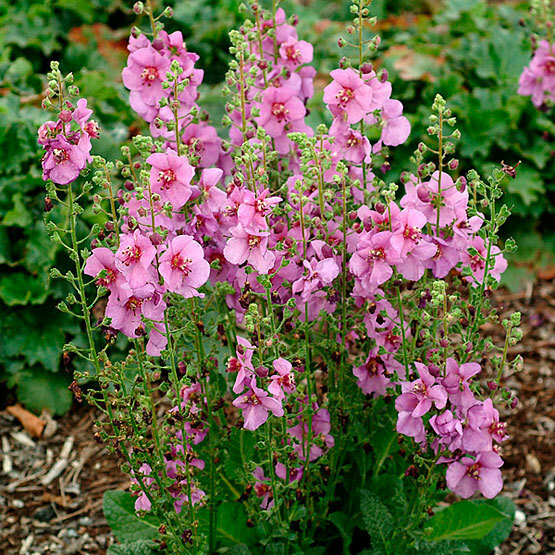 Verbascums tend to flop in fertile soil. PropagationSow seeds in spring in containers in a cold frame. Divide in spring. ProblemsPowdery mildew and other fungal leaf spots. Caterpillars. Crown rot in wet winters or where soil is poorly drained.